Check me out on HOUZZ! Let’s put it on the table right away: Our real estate market did not perform at the same level in 2018 as it did in 2017. That does not mean we had an unsuccessful market in 2018; nor does it mean we should brace for a difficult market in 2019. We need a bit of perspective. Taken in the context of historical numbers, it appears 2017 was an “outlier,” especially between July and December. There was a frenzied demand throughout 2017, reflective of our metropolitan neighbor across the Sound. On Bainbridge, we had a peak during the second half of 2017, which flowed into the early months of 2018. But then the frenzy cooled, as it did in Seattle, and we moved toward a slower pace in the second half of the year. (There were 314 homes and condos sold on Bainbridge between July and December 2017, surpassing the previous high of 290 during that same period in 2015). When viewed historically, 2018 appears to be much closer to “normal” than 2017 was. And, when taken in the context of the larger local and national economies, our real estate market held up very well. When we look at real estate appreciation, 2018 was very successful. The median price for homes and condominiums rose almost 8% in 2018 and the second half of 2018 saw appreciation of almost 5% over the second half of 2017. These are healthy numbers and consistent with a healthy market. Using general statistics only gives us an idea of the movement of the market, and not necessarily of any individual home. But it does give sellers an inkling of the direction of their homes’ values. The rule of thumb says that a home needs to be owned for at least five years to really benefit from a market’s movement. Comparing the median home price sold at the end of 2013 ($527,000) with the same price at the end of 2018 ($908,500), we have seen a 72.4% increase. So if you had purchased a home in 2013 and were to put it on the market today – assuming it was properly presented and marketed – you would probably realize a healthy return on your 2013 investment. When we look at the bigger economic picture, we do not see financial institutions collapsing or other deep recession signals, so we ascribe the market’s change to a shift to a more normal market. Sellers are now competing for buyers, while buyers are more discerning and disciplined in their approach. Pricing, presentation and negotiation – all areas where good agents bring value to the table – are critical for sellers to achieve the best net value from their homes and condominiums. The condominium market experienced an even more dramatic drop-off in the second half of the year. At the end of the first half, 2018’s condo sales surpassed 2017’s but by the end of the year had fallen behind in total numbers (126 sold in 2017, 109 in 2018). However, when we look more closely, the area of steepest decline was in the $800K-$1M price range (24 sales in 2017 and 10 sales in 2018). This could have as much to do with inventory as market shift. Two new on-island projects, The Roost and Residences at Pleasant Beach, both sold briskly in the second half of 2017 and were completely sold out by the first half of 2018. No other new projects came to the market in 2018, so it appears supply might have as much to do with the drop as demand. As with homes, the median price of condos had a healthy increase of 8.6% over 2017. The prognosis for the Bainbridge condominium market is very positive. There are two buyer types who are especially drawn to condos: people needing more affordable residences and “downsizers.” In 2018, 42% of the condos sold (46 sales) were priced less than $500K compared to 17 homes sold for less than $500K. At the upper end of this segment of the market, the downsizers were the driving force in the over $800K sales and quality inventory was lacking in the second half of 2018. Land sales in 2018 were also down compared to 2017 (31 in 2018 versus 41 in 2017), but the median price increased a whopping 60% ($400K in 2018 versus $250K in 2017! ), although 58% of the sales were less than the median $400K. One has to be careful not to read too much into statistics when applied to such a small population, but it certainly indicates land values are healthy. As we kick off 2019, we know it will be an interesting year. There is a lot of uncertainty out there and it is difficult to predict how it will affect our market. Still, the regional economic picture is healthy with a positive outlook. The bottom line: the Bainbridge Island real estate market is alive and well. Every day, we hear news about the cooling real estate market but it’s important to consider all the factors that go into those reports. Yes, our market has chilled slightly from its previously overheated state (although we never reached the same sizzle as the Seattle market) and has settled into what might be described as a strong normal market. The business section also contains reports of ongoing job growth in the Seattle area, especially in the well-paid tech industries. Concurrently, when Seattle’s transportation woes and other urban issues are taken into consideration, the demand for Bainbridge homes, especially for families, will likely continue for the foreseeable future. On the whole, most indexes show data that support a steady market in the coming months. If we isolate the third quarter and look at sales, the number of homes sold only dropped 4.4% from 2017 (137 in 2017 and 131 in 2018). In that same period, the median price of homes sold went up from $875K to $912K – a 4.2% increase. If we compare the median price of homes sold during the third quarter, they are up 8.8% from the beginning of the year. Additionally, the Cumulative Days on Market dropped in the third quarter of this year compared to 2017 (44 in 2018 vs. 47 in 2017). Active and Pending inventory numbers are where elements of the cool down show. Inventory is down in total inventory and active (total minus pending sales), which is contrary to what people are hearing. Pending sales are weaker at 40 compared to 57 at the same time last year. Of all the numbers we examine, this 29.8% drop is what supports the slowdown assessment. However, when reviewing the data, we can conclude that the market is healthy and strong. Maybe not as feverish as last year, but it’s still a great time to be selling or buying on Bainbridge Island. The condominium market has softened compared to 2017, with 73 units sold compared to last year’s 89. There seem to be two parts to the condo market: the affordable (less than $500K) and the higher end, which usually includes a good view. The affordable unit sales are up from last year, with 64 sold versus 45 in 2017. The drop in the higher end appears attributable to a lack of supply rather than a softness in the market. Land is barely lagging behind 2017, with 24 sales year to date compared to 29 in 2017. Buying land with the intention of building is not for the faint of heart these days. Builders are busy while construction prices are still rising. New zoning rules have also added an element of uncertainty and expense. Multiple offers are less common than last year, and prices have risen but not at the frenzied pace of last year. Our rental market has also calmed down. Our Kitsap County neighbors, Kingston and Poulsbo, are also performing well and benefiting from Seattle’s growth. Buyers do not seem to be concerned with rising interest rates (which, after all, are still quite low), which helps to boost confidence. As we enter the fourth quarter, there are many opportunities for both buyers and sellers. In the real estate business, we know never to count our proverbial chickens. Offers aren’t made until directed by a client, offers aren’t successful until they are accepted, inspections aren’t completed until everyone is satisfied, and we never take a transaction closing for granted. Every step forward is a cause for celebration. We view the market in the same way, especially after 2008. When we say that the first quarter of 2018 had many similar challenges as the first quarters of the past few years, we mean that there was strong demand, some supply, affordable interest rates, and a solid outlook. This is particularly true of inventory, which experienced new lows. At the beginning of April, there were only 40 available (active) single family home listings on the island. This includes all prices, pre-sale homes (which haven’t even been finished yet), and your typical cadre of homes that are woefully overpriced or in a condition or location the typical buyers shy away from. (Bainbridge is different from Seattle, where these types of things tend not to deter buyers.) Nevertheless, 66 homes sold in the first quarter, which surpassed our sales from the past two years! Those additional sales also confuse the lower inventory numbers because homes were essentially selling faster (some might call it “velocity” or “higher turn”) so there would have been more homes left on the market if we sold homes at last year’s rate. (The average cumulative days on market fell from 85 in 2017 to 70 this year – a 17.6% drop!) Combined with a 20% increase in both average and median prices (for the first time, our average price for a quarter is over $1 million), you would have to conclude that our market is very strong. Granted, buyers are paying more with fewer choices, but we are still seeing buyers looking west from Seattle and finding a far saner market with much better values. This surge is not limited to single family. Condominium sales matched last year (technically, up by one) with the median price growing 12%, from $515K to $575K. Land sales, unimpressive last year, burst out of the blocks in 2018 with a 50% increase in lots sold and a 100% increase in median price ($217,500 to $435,000)! We know that demand is strong this year, but what about supply? The construction behind Harbor Square (between Cave and Ferncliff) called Bainbridge Landing will consist of about 107 rentals and 25 residential condominiums. The DR Horton project on Sunrise and Torvanger (11 homes) is about 50% complete. Quadrant is building 19 homes on Weaver (the model is under construction). The Reserve at Winslow on Finch Road features 12 homes, Madison Grove off Duane Lane includes 8 homes, and Madison Landing will feature 24 condominiums. The Roost has begun their second phase of live-work structures and The Residences at Pleasant Beach Village is going in for permit on their second tier of 12 homes. These projects are being built within the geographic boundaries of our current comprehensive plan, which has pushed density into specific neighborhoods on the island, leaving a majority of our landmass with its much lower density zoning. Beyond these projects, it becomes a bit muddy with the city’s moratorium and impending changes to design rules. It is still unclear what the result of the moratorium and new restrictions will be, but it appears building will be more difficult and expensive; likely having an impact on the affordability of housing on Bainbridge. How about our neighbors to the west and north? The North Kitsap market (Hansville to Poulsbo) is also active and fast-moving. There, 167 homes sold in the first quarter, with an average of 46 days on market, and at a selling pace 34% faster than ours! Since 2015, the median price (currently $385K) has risen 23%, almost 17% of which was this year over last. Things are popping across the Agate Pass Bridge! If the first quarter is an indicator of the rest of the year, it appears we are in for an active year in Bainbridge Island real estate. To keep things moving in the right direction, our local experienced real estate agents bring a lot to the table. In an environment when buyers need to make decisions on sometimes short pressurized timeframes, a good agent will have sellers’ listings prepared in a fashion where the potential buyers feel more comfortable stretching their budgets. When representing buyers, it’s as much about preparing them to be able to act as it is about advising on locations, limits and putting things in the proper perspective. This guidance to both sides may sound “simple” but often makes many thousands of dollars’ worth of difference in transactions (to say nothing of the peace of mind it provides all parties). Overall, the outlook good – occasionally stressful, but good. We need to celebrate this current strength and not take it for granted. While we do, we’ll enjoy the beautiful flowers and the sun’s warmth as temperatures and optimism rise together! Even with an uptick in sales, we are not experiencing the same craziness as our Seattle neighbors. Our average cumulative days on market was 52, well more than double Seattle Metro’s 20-day average. Our average price increased by a healthy, but not record-breaking, 10.7%, compared to Seattle’s 17%. (The record was set at 26.74% in 1990, followed by 21.5% in 2005.) There were many homes that experienced substantial price reductions and others that failed to sell at the sellers’ desired numbers. But when homes were properly priced and presented, buyers were willing to act – even if it meant spending more than they originally anticipated. This willingness can only come from a place of confidence of good value and a sound investment. We were assisted by strong buyers from Seattle and California, a rising stock market, smooth financing and appraising with rates that have remained “comfortable,” even with a rising prime rate. A prime beneficiary of this strong market were luxury homes. There was a 44.6% increase in sales of homes over a million dollars and sales doubled for homes over $1.5M (133 total with 52 over $1.5M). Home sales increased 49% in the $800-$1M range. On the flip side, affordable homes were further scarce, and sales of homes priced less than $600K decreased 34.7% from last year. This overall shift in the market pushed our median price up more than the average (>13%) and our condominium market was affected by these market forces as well. This certainly illustrates our trend away from affordability; which Bainbridge struggled with in the early- to mid-2000s until the 2007-2011 correction. The condominium market benefited from these improved conditions in a couple of ways. The number of sales grew more than 21% (from 104 in 2016 to 126 in 2017) and the median price jumped 31% (from $400,750 to $525,000). Though sharply higher, the median price of $525K was substantially below the 2016 single home median of $838,000. Consequently, we saw more individuals and families coming to the condominium market. Condo sales were also helped by the strong upper-end residential market. Many residents have been waiting on the sidelines for their homes to get to a price point where they felt comfortable selling and downsizing to smaller, more manageable and easy care, i.e. condominiums. Complexes such as The Grow Community, Residences at Pleasant Beach and the Roost all experienced strong sales last year as they completed with condominiums for market share. A majority of condominium buyers stress the desire to be closer to Winslow for the walkability, an interest in a complex that offers a sense of community, grandparents following their adult children and their families to the great Northwest, and those who want the easy care and affordability of condominium living. Fortunately, we have had some good choices for our buyers this past year and experienced a total of 126 condominium sales in 2017. The only sector of our market that struggled last year was raw land. This category was hampered by a lack of choices, financing difficulties, hurdles with building permits, and the escalating construction costs. It is hard to find any economist predicting a substantial slowdown in our area’s economy or real estate in the near term; not to say that there aren’t clouds. The new federal tax law is not beneficial to a higher-end market like ours; financing interest and property tax deductions now have limitations. The prime interest rate will undoubtedly rise and even though mortgage rates have been incredibly low, rates will probably go up but stay below 4.5%. In the midst of all this activity, one thing remains constant: Bainbridge Island is desirable and a great place to live. Values are high, and our inventory is at an all-time low. If you are considering selling your home this year, let’s get started now so you are not competing with the typical spring rush. The days are getting longer, we have buyers, and this is the traditionally the best time to sell your home. Call me, I will help you prepare your home and get it listed as soon as possible. 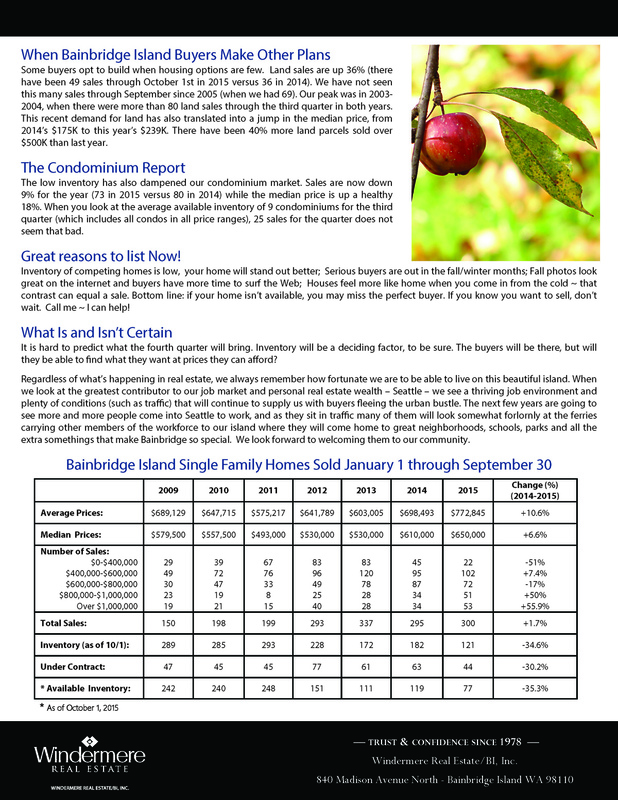 BAINBRIDGE ISLAND Real Estate Values are at an all time HIGH and the current housing Inventory is at an historic LOW. Let’s get your home ready and on the Market before the usual Spring Rush. In many ways, the first quarter of 2017 reflected the past two years of the Bainbridge Island real estate market and the markets of most of the neighborhoods around us. Seasonably low inventories limit buyers’ choices early in every year. Meanwhile, inclement weather tends to dampen the enthusiasm of sellers getting homes ready as well as buyers who would rather stay in than venture out to look at properties. Finally, there’s a perception that the market doesn’t really “begin” until spring. These factors all conspire year after year to make the first quarter the quietest. Looking back to 2016, there were 72 residential transactions in the first quarter, compared to 129 in the second quarter, 156 in the third and even 117 in the fourth (also perceived as a slow quarter). So we were prepared for the “slow time” this year. We hoped for more inventory because we knew there was demand. As it turned out, in spite of the weather, we got a little bit of what we wanted. We had 83 residential home and condominium sales in the first quarter of 2017, up 15% from last year’s 72. It should not be a surprise that our active inventory was up 29% from last year when measured on February 2nd. In a sellers’ market, inventory is the fuel that pushes the machine (as opposed to buyers being the fuel in a market they control). But there’s a footnote to these numbers: the condominium market had 27 sales – the best first quarter we’ve had since 2007 – and condominium sales were up 68.8% over last year’s first quarter figures. If we set aside the increase in condominium sales, our first quarter sales were essentially flat. As home prices continue to rise, condominiums are becoming an important option for people who are being priced out of single family homes and those who are downsizing. In the first quarter, there were 13 homes sold for less than $600,000; there were 14 condominiums sold in the same price range. The median price of condominiums was $517,000 and of homes was $755,000. Condominiums represented 37.5% of the residences sold in the first quarter, compared to 22% last year. This is also not lost on developers, which is evident when you look at the new construction both underway and in the pipeline, where condominium products are strongly represented. The media has painted a pretty rosy picture of our market for sellers: just put up a for-sale sign, set any price you want and wait for multiple offers to roll in! In reality, while a strong market can make it easier to sell a home, there are certain goals that need to be in a seller’s mind regardless of the market. The first is to sell the home within an acceptable timeframe. On the chart below, you’ll see the “active” inventory is higher than it’s been since 2013. Also, even if you have an interested buyer, it doesn’t mean that buyer will end up purchasing the home. This quarter, there were 16 “failed sales” or homes that fell out of contract, down from 37 last year. Sales fail for all sorts of reasons: buyer’s remorse, which can come from price; realization of property condition; and reality checks are the most common. Getting the home sold in an acceptable timeframe is important to most sellers. In this past quarter, the average days on market was 71. Some homes sell right away, but they are usually the exception. The second goal is to maximize the net yield to the seller. Condition, disclosures and presentation all affect buyer perception and price consideration. Buyers are smarter than ever and they are conducting their own market research with their Realtors. Buyers need inventory to choose from. They will not buy home at any price, and their price ceilings are dictated by their perception of value. There are some multiple offers, but only 29% of homes sold in the first quarter went for over asking price (which may be fewer than some people would think) and the percentage of the overage was a scant 3%. The boom of 2007 was not that long ago and most buyers (and their agents) clearly remember the risks of overpaying. We are in a sellers’ market with multiple offers and prices are rising but our market is smaller, less active and has a smaller buyer pool than Seattle. To gain maximum benefit from this market, sellers should keep this in mind. It’s important to consider the buyer’s perspective, where there is another labyrinth to negotiate. About 40% of Bainbridge sellers end up on the other side of the table when they later become Bainbridge buyers, so they eventually experience the flip side of our market. 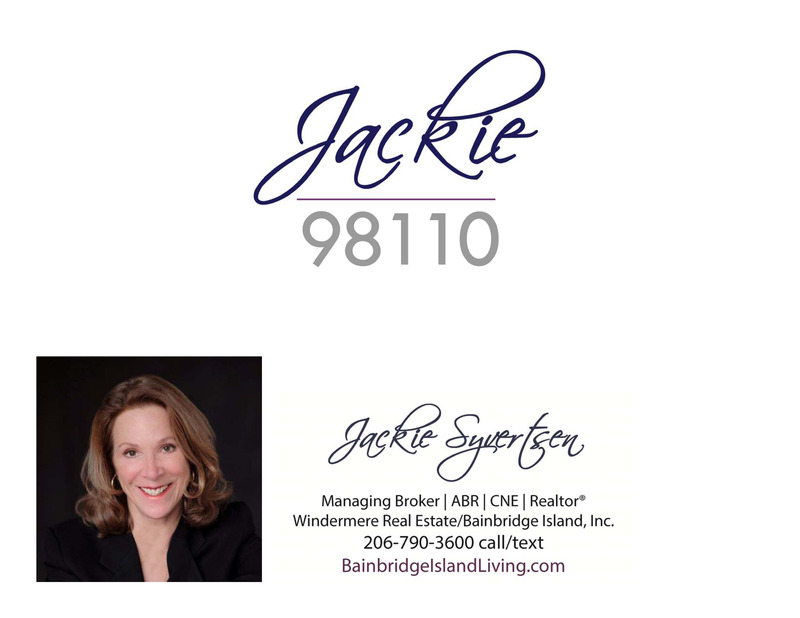 Working with an experienced professional will help you achieve the best result and understand the many nuances, of the Bainbridge real estate market. So let’s dive together into this busy season. It’s going to be an exciting ride. The one constant in our real estate market is change. Ten years ago (yes, it has been 10 years! ), we were in a very competitive market. Inventory was tight and prices were going through the proverbial roof, setting new highs. Then, in September 2007, that came to an abrupt end and we began a downward trend toward the largest correction since the 1980s. It took until 2012 for the market to shift yet again and gradually pick up speed toward recovery. By 2015, we returned to familiar territory: an extremely competitive market with record low inventories and rapidly rising prices. On July 1, 2015, there were 58 active listings on the island. Now, just one year later, data suggests a potential market transition with inventories rising and price reductions becoming increasingly common. We in the industry do not view this as a repeat of 2007. There are too many positive factors in our financing infrastructure and regional market that separate this climate from its predecessors. (Indeed, the financing environment is so much more conservative now that securing funding can actually be a hurdle in some transactions.) We are still in a very competitive market and the statistics bear this out. While we may be slowly moving towards a more “balanced” market, we are not there yet. Let’s look at some of the leading indicators that give a glimpse at where we are. One year ago, there were 112 home listings, 54 of which were under contract. For a market the size of Bainbridge, 58 active listings in the middle of summer is a crazy small number. On July 15th of this year, inventory had ballooned to 162 listings, 64 of which were under contract (leaving 98 active). Yes, this was a substantial improvement from last year. But when compared to the absolute top of our last market peak in July 2007, the 162/64 stat still looks very tight compared to the 2007 numbers, which were 289 listings with 62 under contract. The percentage of pendings to listings is 40% today compared to 21% in 2007. This year’s second quarter median cumulative days on the market is still a brisk 11 days, equal to what it was for the same period in 2015. (In 2007, it was 52 days.) It is still a very competitive market. Our inventory is growing because our price levels are finally bringing in more people from the sidelines. When you look at the history of the sold listings, there are scant few people who are “flipping” or who have bought recently and rapidly selling for a profit. Instead, many of the homes that recently sold were last sold in 2001, 2004, or even 2007 and 2008. It’s also interesting to note that people who have held onto their homes for a more extended period of time (since before the boom years) are realizing very healthy increases over what they paid. However, we are now seeing more price reductions than even in the first quarter. This is another indication of a healthier market. Pricing still matters, as sellers can’t just ask for anything. As we mentioned in our last newsletter, this is one of many areas where professionals can really help. Overpriced homes usually end up selling for less than properly priced homes, a statistic that has been borne out in all types of markets. This becomes especially important when a market is going through a gradual shift. The bottom line is that prices are rising and healthy. True, the rate may change and is very neighborhood and property specific. But the competitive nature of our current market will help bolster prices. Interestingly, the increase in inventory has not yet been felt in the residential condominium market. Due to low inventory the volume of condominium sales are down almost 21% from last year. Prices are up 8% from 2015, but the median price is still 13.7% lower than in 2007. In addition to the shortage of available condominiums buyers face potential financing challenges specific to that type of property. In the land segment, sales are down more than 30%! Median price for land is also off 6.5%, which is 47% of the 2007 median. This is perplexing as land sales improved quite a lot between 2014 and 2015. So our changes are subtle at this time, but in process. On the residential side, the greater inventory gives buyers more choices and potentially more sales. Sellers are seeing price levels that entice people to return to the marketplace and support a competitive environment. The regional economy outlook continues to impress and our position in that marketplace remains strong. (What other community can still claim the same commute time to downtown as twenty years ago?) The outlook ahead is all very positive! This summer, we are opening a satellite office on Olympic Drive and Winslow Way. There we’ll be able to greet ferry passengers as they first arrive to the island. Our goal is to give our clients more exposure to pedestrian and vehicle ferry traffic and have agents on hand to answer questions. We hope to have our doors open soon, so please stop by. To say that Windermere has a lot of Seahawks fans would be an understatement. That’s why we are so excited to announce today that we are now the “Official Real Estate Company of the Seattle Seahawks”! At the center of this partnership with the Seahawks is a new #tacklehomelessness campaign in which the Windermere Foundation will donate $100 for every Seahawks tackle at home during the 2016 season. On the receiving end of these donations is YouthCare, a Seattle-based non-profit organization that has been providing services and support to homeless youth from across Puget Sound for more than 40 years. Since 1989, the Windermere Foundation has donated over $30 million to non-profits that support low-income and homeless families, so partnering with YouthCare and the Seahawks on the#tacklehomelessness campaign is a perfect fit for us. Even as the birds of springtime sing their new songs of the season, we must hit repeat as we report – once again – on our local market’s low inventory. A lack of available homes continues to dictate what’s happening in Bainbridge Island real estate. On April 1st, there were only 47 homes and 5 condominiums available for sale on the island. Within the overall market, certain price points have been more pinched than others (which is a snapshot in time and will change as the year goes on). For example, if you were looking for a home in the $600K to $800K range, you had only 5 houses to choose from and zero condominiums. This extremely limited inventory helped drive home sales down more than 20% from last year. There are plenty of buyers out there; there are just not enough properties on the market to sell. 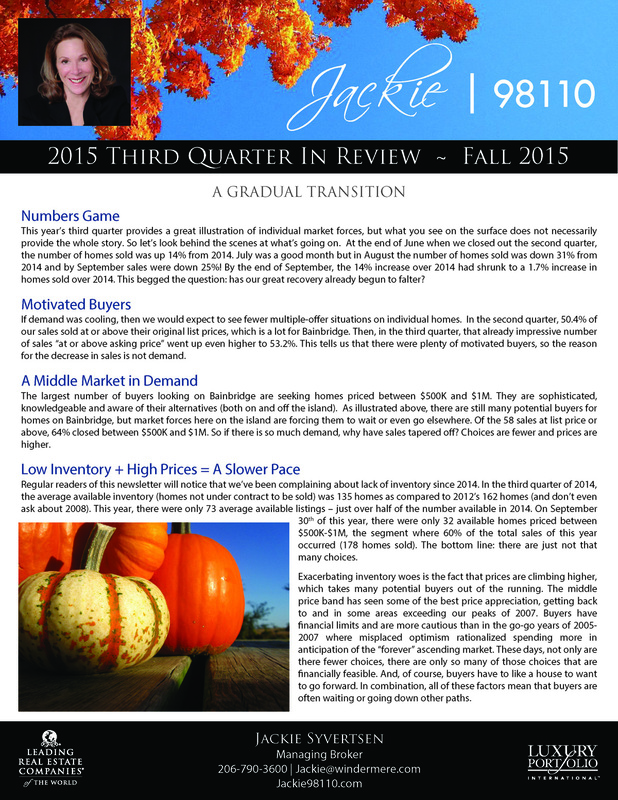 The scarcity of inventory has increased competition and bumped median prices up more than 9%. The average, which is more a function of the price ranges where homes closed, was up more than 18%. The median cumulative days on market dropped from 26 in 2015 to 20 in 2016. To put this in perspective, the cumulative days on market in 2012 was 146 days. The condominium market is also suffering from lack of inventory. Last year at the beginning of April, there were 16 condominiums available compared to this year’s 5; both of which lie in sharp contrast to 2012, when there were 45 available. Consequently, sales dropped from 19 to 16, but the median price rose 23% to $430K. Land, on the other hand, experienced a 30% increase in sales to 13 parcels this quarter with a 26.8% increase in the median price to $225K. One might assume that a market like this, with rising prices and inventory competition, makes our jobs easier. The reality is that there are some basic principles, goals and strategies that any good real estate professional seeks to embrace, all of which must adapt to an ever-changing market. Regardless of the climate, we want our clients to achieve the best possible outcomes – both at closing and in the future. This is sometimes easier said than done, especially when competition is fierce and time is of the essence. Given the complexities of the Bainbridge market, where most homes and locations are unlike any others, things can get even more challenging. It is not like buying or selling in a large subdivision where a product like Zillow has some merit. Here, each house has strengths and weaknesses and the success of a sale can pivot on those subtle nuances. In multiple offer situations, there are strategies to employ. You need to line up your resources to be “the best you can be.” Multiple offers often require that decisions be made quickly, so being prepared makes you a stronger buyer and one less likely to be disappointed later. If you are not a cash buyer, there are things you can do to compete with those who are. Get comfortable with the stack of forms you’ll be asked to sign. Ask your Realtor what it means to omit certain forms, how to read building inspection reports and Title reports. Learn how to spot red flags that make certain houses less expensive. Being a buyer in this market can be difficult, frustrating and even scary. A good agent can help you navigate the winding road to achieve the best results and avoid mistakes. Sellers may think they have it easier, but the reality is that a seller’s quest is the same in an ascending market as in a descending one. The two primary goals for sellers are to get the home sold in the timeframe desired and to maximize net proceeds. Buyers will be more attracted to, and will ultimately pay more for, a house that is optimized to appeal to a buyer and priced in a manner that a buyer feels is reasonable in the current market. Knowing the current market, as well as past and future markets and how a particular home fits into all of them, is essential in achieving the seller’s ultimate goals. But the work is just beginning when buyers first express interest. You have to know which of them will have the greatest possibility of actually achieving a closed transaction. It is surprising how many transactions fall apart in this market. Negotiating inspections, Appraisals, Sellers’ liability; what do all those forms mean and what are your responsibilities? There are many steps between deciding to sell and achieving your goals. The reality is that sellers don’t always get everything they hope to get out of a sale – even in a sellers’ market. But an experienced agent will help you prepare, present and respond so you can get the most out of any market. Real estate markets fluctuate all the time, sometimes favoring buyers and sometimes favoring sellers. This is simply the nature of the business. But in the midst of all those ups and downs, one thing remains consistent: the beauty and livability of Bainbridge Island. At Windermere Bainbridge, we celebrate our island community and all it has to offer. So you’ve begun thinking about selling your house and you figure: Let’s wait until spring or early summer before listing. 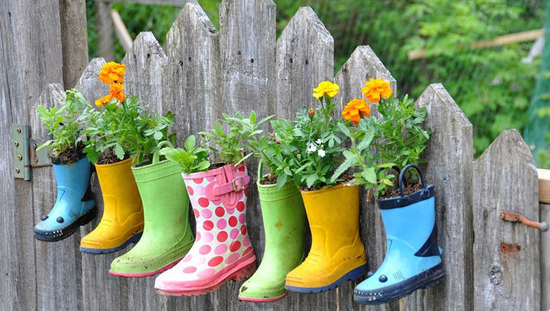 The yard will look its best and potential buyers will be out in force. Recent research studies show home listing prices, sales price and time-on-market data from January 2010 through October 2014, concluded that if you want to sell for more than your asking price, listing in December through March gives you a better chance on average than if you list June through November. If your goal is to sell relatively quickly, February is historically the best month to list, with an average of 66 percent of homes listed then selling within 90 days, according to national averages, including cold weather cities like Boston and Chicago. Researchers are quick to note that the advantages of listing in winter compared with other seasons are not huge. But the fact that winter produces at least competitive or better results by some measures should encourage potential sellers to get into the game sooner rather than later. Bottom line: Real estate does not hibernate. Other factors to consider: Only 63 Homes, 8 Condominiums and 53 land parcels currently For Sale on Bainbridge Island. Less Inventory = Less Competition for Sellers who list prior to spring. This is surprisingly an advantageous time to list, shop and buy Real Estate. Buyers shopping at this time of year are Serious Buyers. More Corporate Transfers at this time of year. Buyers have more time to surf the web for homes. What are your real estate goals for 2015? Call me for a Current Market Analysis and I will provide you with an honest, fact-based report of the financial value of your home.